I have this big, unwieldy spreadsheet (that's sort of visually appealing) detailing Nebraska signees by state going back to 1973, Tom Osborne's first class. Recruiting has changed a lot (multiple times) over that span, but each year when I update it on this day there are always a few numbers that jump out. Let's hit on a couple of those and a few others as a way into Nebraska's 2018 recruiting class. 8 - The number of scholarship signees from Florida. That's the most for Nebraska from Florida since 1973 (and, thus, probably ever) and the most from any state since the Huskers landed eight from Texas in 2009. It's not a surprise given this staff's connections, and it's somewhat common early in new coaching tenures. As mentioned, Bo Pelini signed eight from Texas in his second recruiting class and had nine from the Lone Star State in 2008. Bill Callahan took nine from California in 2005 and eight in 2006. Callahan also had the previous high for Florida with four signees in 2005. Nebraska should continue to be heavily involved down there. 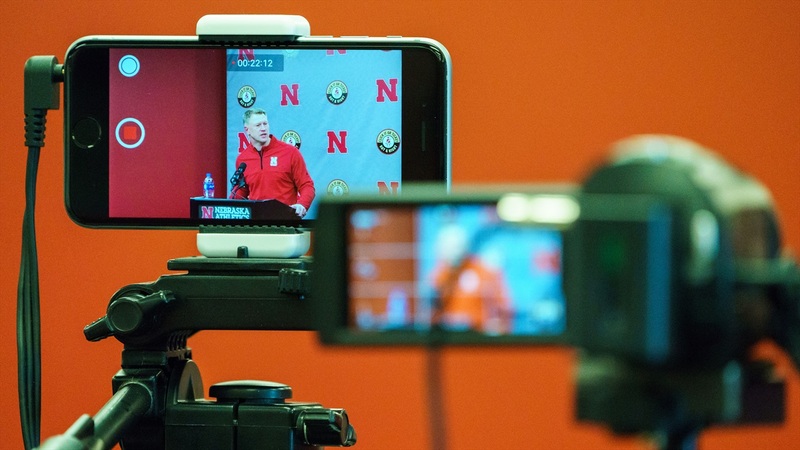 "I think we are going to continue to get kids from down there," Frost said. "We have a lot of coaches that are used to recruiting Florida and they have a lot of relationships with kids and high school coaches in the state of Florida." 12 - Scholarship signees from the old SEC footprint. Not the oldest SEC footprint, but the one before Missouri and Texas A&M joined. I'm excluding those two because Nebraska recruited both states heavily as a member of the Big 8 and Big 12. This year's haul, powered by Florida of course, is the largest from the SEC states. Nebraska signed more than one player from Georgia – one of the deepest and most fiercely contested talent pools right now – for the first time since at least 1973. It also took two from Alabama. 89 - My scholarship count for the Huskers based on what we know now. Nebraska is going to have to be at 85 by the time fall camp starts so that means four are going to have to come off the books somehow before August. There are a lot of ways that can happen. The best is a player decides to seek a better opportunity on his own. There's also always a chance that there's some flexibility with walk-ons who have been put on scholarship. Some of those agreements are for a semester, some for a year and some for multiple years. And, of course, it's possible that the staff is already aware of some attrition that hasn't been made public yet. This is going to be Nebraska fans' least favorite guessing game over the next couple of months. Nobody particularly likes talking about attrition, but everyone knows the number to hit and everyone also knows that means departures. We just don't know who or how yet. Top 25 - Nebraska didn't quite crack the top 20 in the team rankings at 247Sports (22) or Rivals (21), but it got pretty close. Honestly, if you'd told me Nebraska would keep all of its commits in the fold and land five-of-10 players deciding Wednesday (including Maurice Washington and Caleb Tannor), I would've guessed the Huskers ended up a couple of spots higher, but it's impossible to know all of the various permutations here. All things considered 21ish is just fine. Good enough for the top class in the West Division, which should sort of be Nebraska's resting state. Now this staff had to scramble and scrape to get there given the unique circumstances and should be commended for that. But it'll be really interesting to see where things might go from here. How long does this staff's buzz from going 13-0 last? What's the recruiting strategy look like with real time to prepare? How long will it take them to catch up given all of the attention that had to go into 2018? A lot of interesting questions to consider and get answered in the year to come. 16 - Scholarship seniors on the current roster. If you're ready to start thinking about how big the next class might be, start there and we'll see what happens. Just taking a quick peek ahead, Nebraska will lose three offensive linemen, at least two receivers, two linebackers, two safeties and two running backs. But we can worry about that stuff tomorrow, when a new cycle officially starts.